and with Celovat Field Commander Korvo Celo serving as her advisor, she leads the demoralized Feldovat survivors on a gruesome ill-prepared winter trek through high mountain passes of ice and blizzard snow in an attempt to elude the Green Dragon forces of the Bleikovats. One grizzled Murian farmer’s slit-pupils narrowed to thin slivers. Gently tightened the reins. Hooked to the plough, the lumbering gelf plodded to a stop. He laid the planed-wood handles of the plough sidewise onto the fresh furrow. Without moving from the trenched rows the gelf reached its thick neck to nibble the green tufts around its feet. The weathered work-aged farmer carefully slipped the reins off his shoulder. Fingered the split creeping along one sweat-stained handle, “…get this to the woodworker before spring ploughing times. 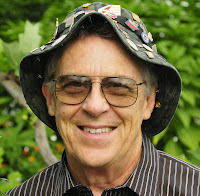 Get it braced before I have to barter for a new plough handle.” Pulled off his wide-brim woven hat; wiped his forehead. Uncorked his gelf-leather water pouch; took long slow swallows. Spit a bitter-chewed slurry of brown chakklu; scowled, "…ill-tempered uplander Bleikovats." Another long swallow…re-plugged the pouch. Bit off another twist of dried chakklu. Welsh and Scottish Hawk MacKinney grew up in northwest Arkansas, and wrote for his school newspaper. Hawk served over twenty years as a Special Staff Corps Officer with the U.S. Navy and U.S. Marine Corps, a Naval Academy Blue and Gold Recruiting Officer, a Navy Recruiting Command Liaison Officer, and Commanding Officer of units attached to the U.S. Marine Corps bases at Parris Island, South Carolina and Twentynine Palms, California. Along with his postgraduate degrees, he studied English and Russian history and foreign languages. As a faculty member in major medical and veterinarian universities, he authored professional articles and taught postgraduate courses in the United States and Hadassah Medical School, Jerusalem. 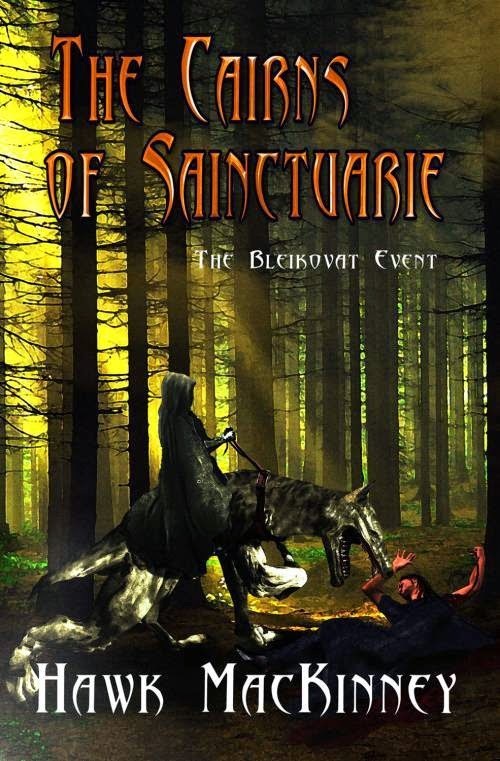 In addition to his SF series, The Cairns of Sainctuarie, Hawk MacKinney has authored the Craige Ingram Mystery Series and Moccasin Trace, a historical romance nominated for the prestigious Michael Shaara Award for Excellence in Civil War Fiction and the Writers Notes Book Award. The County Library at Mold is home to the world’s largest collection of books on Arthur, comprising nearly 2,000 volumes. Arthur’s fame lives on in everyday place names. Caerfyrddin, (Carmarthen) a town in mid west Wales, is believed to be Merlin’s birthplace, and is named after him. 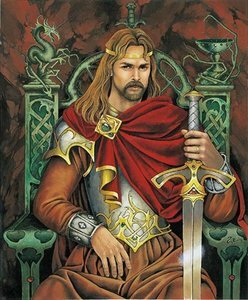 (The name means The fortress of Merlin) There’s Maes-y-Camlan or Camlan Field; Bryn y Cleifion (Hill of the Wounded) which marks the area where the casualties may have been laid and Nant-y-Saeson (Stream of the Saxons) is reputed to be where Arthur's enemies pitched camp. These place are centuries old. The name Arthur comes from the same root as the Welsh word ‘arth’, meaning bear. He is also supposed to have fought his last battle at Bwlch y Saethau - the Pass of Arrows - which is below the summit of Snowdon and the lake into which Arthur’s sword Excalibur was thrown after his death, according to legends, is called Llyn Llydaw. Arthur’s Stone stands on the Gowar Peninsular and is said to be a ‘pebble’ that he removed from his boot on his way to the battle of Camlan in AD 539. He threw the stone over his shoulder and it landed seven miles away on Cefn Bryn Common near Reynoldston. 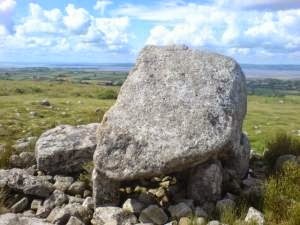 Arthur is said to be buried in the Preseli Mountains, in Pembrokeshire and it is rumoured that if you listen long enough, you can hear him groaning. Merlin’s Oak stood in the centre of Carmarthen, and according to legend, the famous wizard placed a protective curse on it – until it was poisoned, leaving only a stump. The legend said Carmarthen would 'drown' if the oak was ever removed, and some folk even said a curious, pointed notch in the tree was the face of Merlin himself. Sadly, the tree was poisoned in the 1850s by a local parson, who objected to young lovers meeting beneath it, and to the noise made by people holding meetings there, but its trunk was preserved within iron railings. Giving my age away, I am glad to be able to say that I actually saw that stump, all that was left of the magnificent oak, shortly before it was removed, when someone set it on fire at the end of the 1970s. Carmarthen then suffered its worst floods for many years. 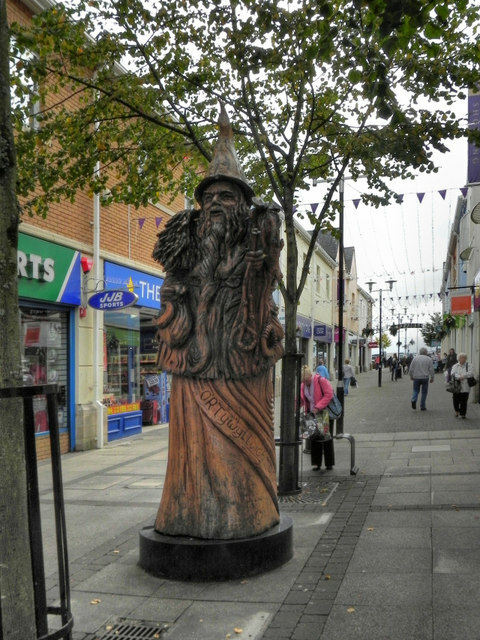 It was later replaced by a young tree on the site of the old one, and there is also a wooden statue of Merlin in one of the Carmarthen streets. These are just some of the connections King Arthur and Merlin have with Wales, and the Holy Grail, (sometimes known as the Nanteos Cup, which his knights went in search of, is said to have been taken to the monastory at Strata Florida,where it was guarded by the monks before being taken to Nanteos, a mansion just outside Aberystwyth. I've seen the grail myself too (or what was left of it) but that's another story. What do you think? Is there enough evidence that Arthur and Merlin were Welsh, or do you have another theory?